Nowadays, it’s hard to find a system that you can rely on when it comes to managing your business, digitally. However, here at Eworks, we make sure our customers feel their business is in safe hands! Eworks Manager offer one of the best Business Management Software’s in today’s market helping you manage your daily business activity, giving you a full view on your company, customer and staff performance. Whether you are big or small, 1-5 user or 100+ users, planning work across the board and scheduling it in with your workers has never been simpler. Our software consists of 2 main elements which is the mobile app and the admin system. When used together you have total control over your jobs and workforce making your company run in the most streamlined and cost-effective way possible. By using the Eworks system, you can keep track of both your office and field staff, within one system! Even your customers can check up on the progress of current work they have on, by using our customer log in portal! All you need to do is create a customer log in on Eworks, control what they have access to and send these details of to your customer! This can reduce the amount of incoming calls you receive from watchful customers and spend more time allocating and planning work. 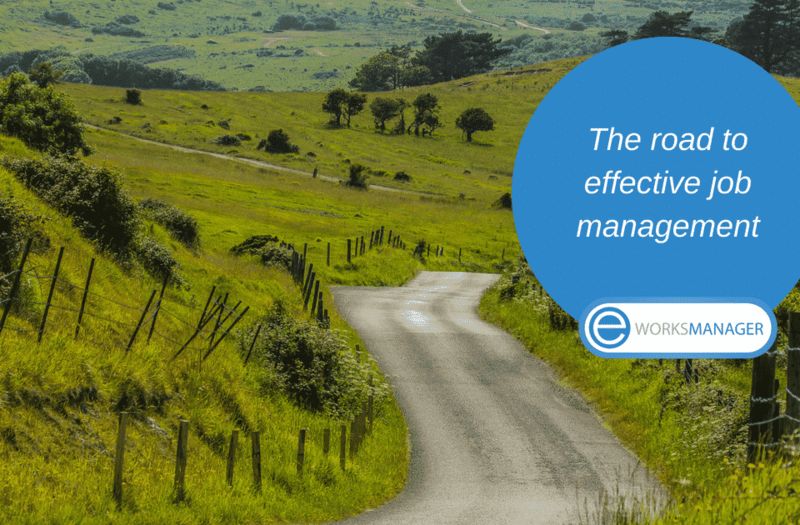 Managing your workload on Eworks Manager will help your company become more organised and efficient, helping you develop a better relationship with your customers as you will always know the status of a job and who is working on it. Eworks has a fully integrated CRM system so you can keep information regarding a job, invoice, purchase order or even a certain customer, within one place! You will have the ability to attach emails, calls, notes and even complaints, although we hope you don’t have to! We can also make your bookkeepers life a while lot easier as we also offer integrations with Xero, Sage and QuickBooks so you can send all your invoices, purchase orders and credit notes over, so nothing gets missed! Eworks is the perfect solution for any company who is looking to keep all their data in one system from quotes, jobs, invoices to managing you clientele, staff holidays and worksheets. All that you require for the smooth running of your organization is flawlessly incorporated into one working system. It’s important to have the right tools in place to manage your business, and what better tool than Eworks Manager! ?